July 2018 Boxy Charm - Road Trippin + a Giveaway! Once again my Boxy Charm came in early for me, right around the middle of the month, but once again I got busy! I have been watching my granddaughter every weekend and she is one busy 2.5 year old! She would be more than happy to come into my office/makeup room and play but I wouldn't enjoy cleaning up after her. She loves 'makeups'!! 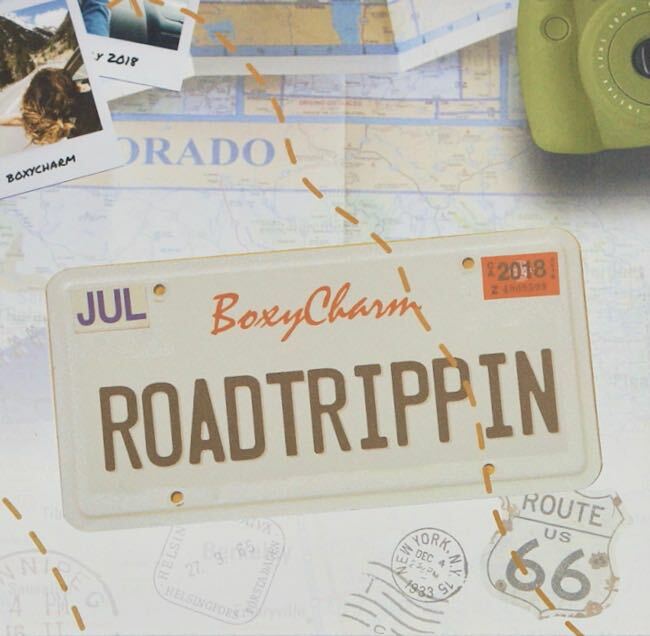 The theme for the July 2018 Boxy Charm is 'Road Trippin', so products to take on a road trip? The products I got in my variation of the July Boxy Charm seem to be a great assortment of ones that would do well on any kind of trip, including a staycation! This month I Received 5 full size products to try out. The card was once again the flip out deal and did have another #BOXYFACT. #BOXYFACT: Did you know...Boxycharm's headquarters is located in Miami, Florida-home of the largest and grandest art and fashion industries. More skincare for me this month than I usually get in Boxy Charm. My July 2018 'Road Trippin' Boxy Charm was heavier on skincare this month, which I don't mind. An eye cream, skin mist, mascara, blush, and an eyebrow cream. While nothing is as exciting as getting an eyeshadow palette, I am looking forward to trying out the eye cream, blush and skin mist. I have a lot of mascaras taking up room in a drawer to try out, but whats another one?! 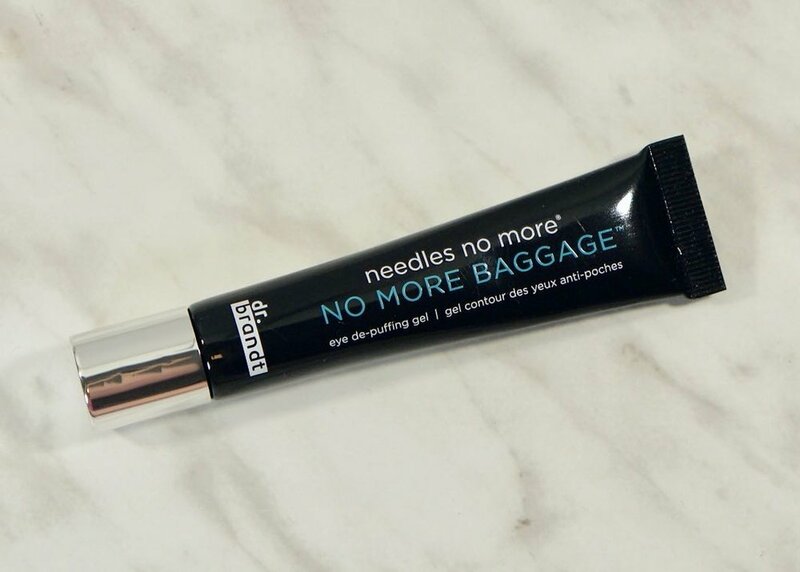 Dr Brandt - No More Baggage - Say goodbye to puffy and say hello to youthful, rested looking eyes with Dr. Brandt's No ore Baggage eye de-puffing gel. Formulated with biomimetic technology, peptides and botanical extracts, you are guaranteed visibly reduced underage bags and dark circles. Retail $42.00 USD. We seem to be getting quite a bit from Dr Brandt lately, which I don't mind, it is an expensive brand. I am always on the hunt for a good eye cream and am looking forward to trying this one out. 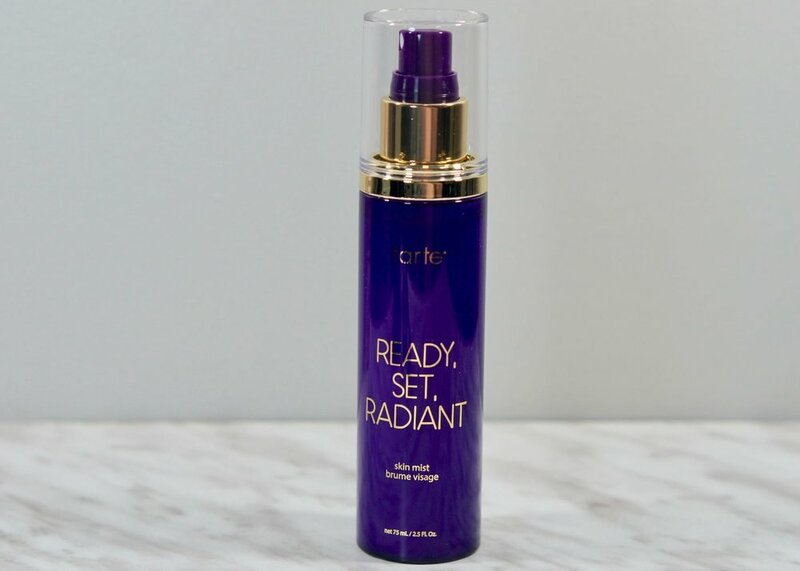 Tarte - Ready, Set, Radiant Mist - Give your skin the glow it deserves with this antioxidant-packed cucumber, fruit & plant extract skin tonic. The non-sticky mist delivers a radiant, dewy finish for lit-from-within luminosity. Refresh dull, tired or sluggish feeling skin throughout the day, or use after your skincare routine to balance, tone and boost your complexion. Retail $25.00 USD. I have been really liking using the UD Quick Fix primer spray lately so I am hoping that this spray is similar to that. 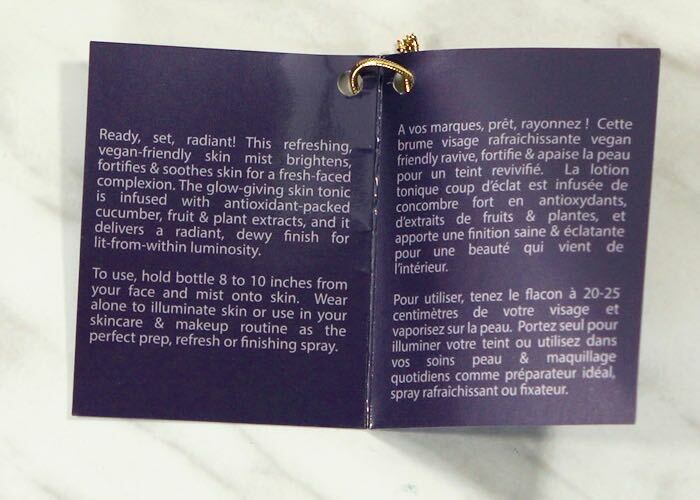 I am thinking that this may have glitter in it though due to the Radiant in the name, I hope I am wrong! 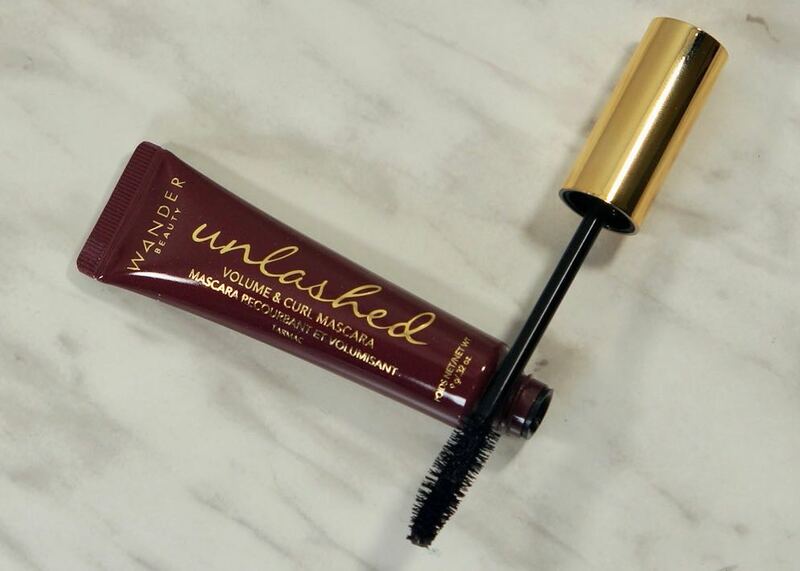 Wander Beauty - Unlashed Volume and Curl Mascara - This award-winning, black and intensely glossy mascara will bring your lashes to new heights (literally). 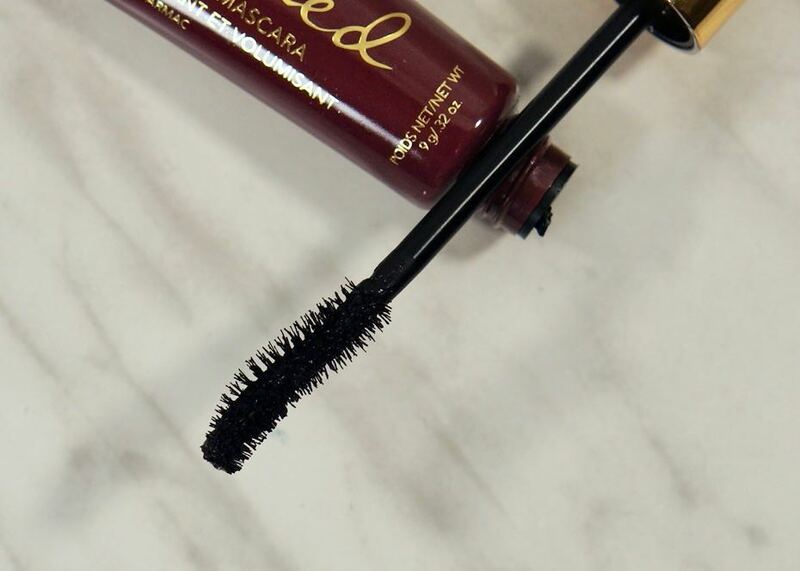 The Unlashed mascara voluminizes, lengthens, strengthens and conditions your lashes while using a combination of gentle ingredients. Retail $24.00 USD. I need another mascara like I need a hole in the head! I think I may like this mascara though, it does have a soft bristle brush which I do like. I may not get to trying this mascara out this month, there are a lot more waiting for me to try out that are getting old! Note Cosmetics - Luminous Silk Compact Blusher - Designed to work for all skin types, this luminous, paragon free blush adds natural color to your cheeks while preventing dryness, with its organ oil infused formula. The built-in brush and mirror makes this little compact a 3-in-1 treat, perfect for the charmer on the go. Retail $11.99 USD. I have never heard of Note Cosmetics before but I do love the peachy shade of this blush! I received the shade Desert Rose, which I was expecting to be more of a dusty rose not the beautiful peach that it is. I don't have a lot of peach blush but I love the look of this shade. It swatches really pigmented so I think I will need to be careful when I use this! 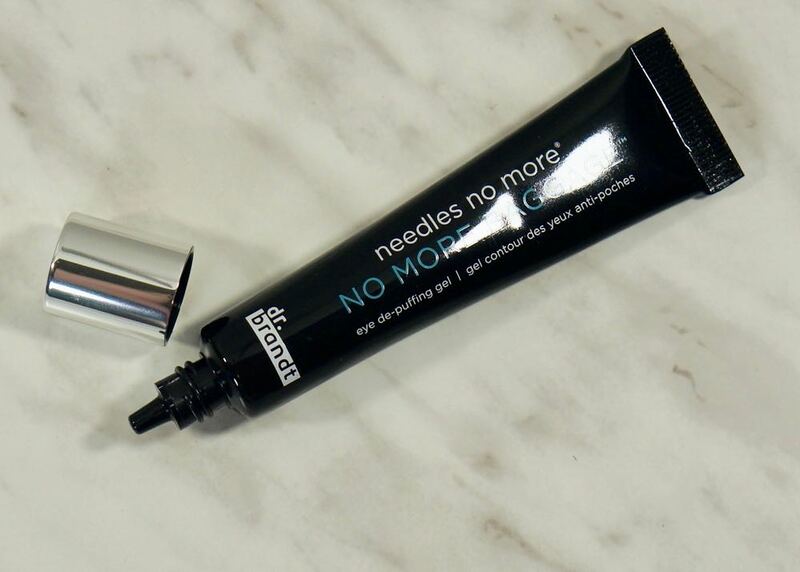 Chella Beauty - Eyebrow Cream - Add some wow to your brows. This innovative eyebrow cream effortlessly defines and shapes your eyebrows with its creamy consistency, and built-in brush. The velvet-like formula makes blending easy, then sets, giving you perfect brows that will last all day and night. Retail $26.00 USD. I am somewhat looking forward to trying this out. 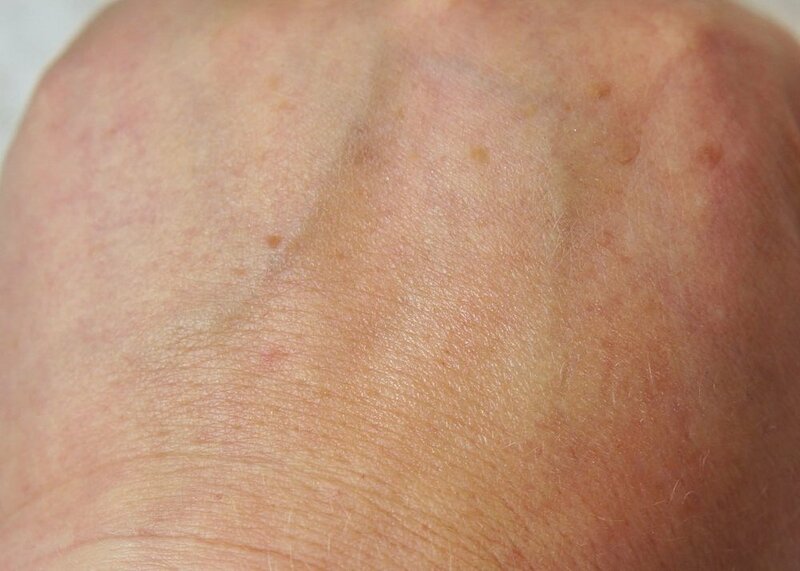 I love the shade, Tantalizing Taupe, and think that it will be a great shade for my brows. I am not looking forward to the brush though. Not sure if you can tell from the above picture, but the included brush is a little bit wider than I would normally use for my brows and I don't have thin brows! My July 'Road Trippin' Boxy Charm came in with a retail value of $128.99 USD, not bad considering I paid around $35.00 CAD. I love that Boxy Charm always has a high retail value and that as of yet, I don't think I have gotten any products that I already own. Boxy Charm continues to introduce me to products and brands that are new to me which is always fun to try out. Even if I don't end up liking them, at least I got to try it out! Alamar Reina Del Caribe - I did use this palette a few times over the past month and did like it. Coco-Taxi is a great warm blending shade! The shimmers don't last that long dry, only about 4-5 hours but once you wet them they do not budge! I am happy to say that Guantanamera did apply better with a brush than when I swatched it. I was not adventurous enough to try out either of the blue shades in the palette but did like all the others. Battington Monroe Silk Lashes - I have to say that I didnt try out these lashes at all. But thats not a bad thing! Since I don't see myself using these I am giving you guys a chance to win them below! Sol De Janeiro Brazilian Bum Bum Cream - I tried this cream out a few times and the smell is really strong! Its not a bad scent but it is strong and does stick around for awhile. As I said in last months post I have tried it before and didnt notice any difference and after having used it a few more times last month, I still haven't seen any difference. 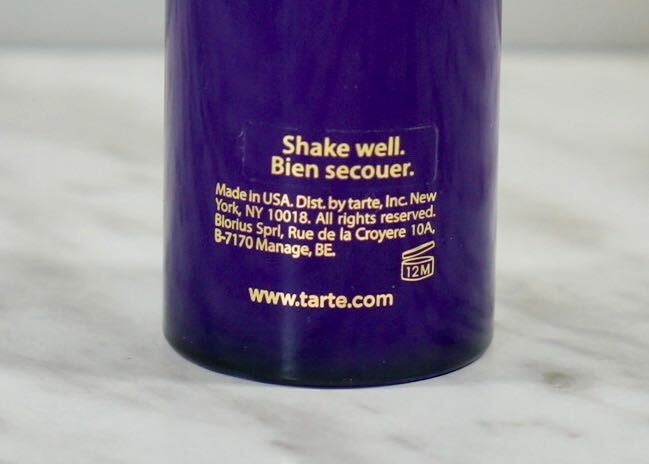 I doubt that I would ever purchase a full size of this cream due to the high price. Luxie 3 Piece Flawless Complexion - I love getting brushes! I have used 2 of the 3 brushes and am surprised that I have been really liking using the 660 Precision Foundation brush for foundation! I have been using It Cosmetics CC cream and UD One & Done lately and the Luxie brush is great for applying those 2. The 522 Tapered Highlighter brush has been great for setting my undereye area, its a great shape and size for that area. Jonteblu Waterproof Eyeliner Pencil - I did try this eyeliner a few times and wasn't impressed. 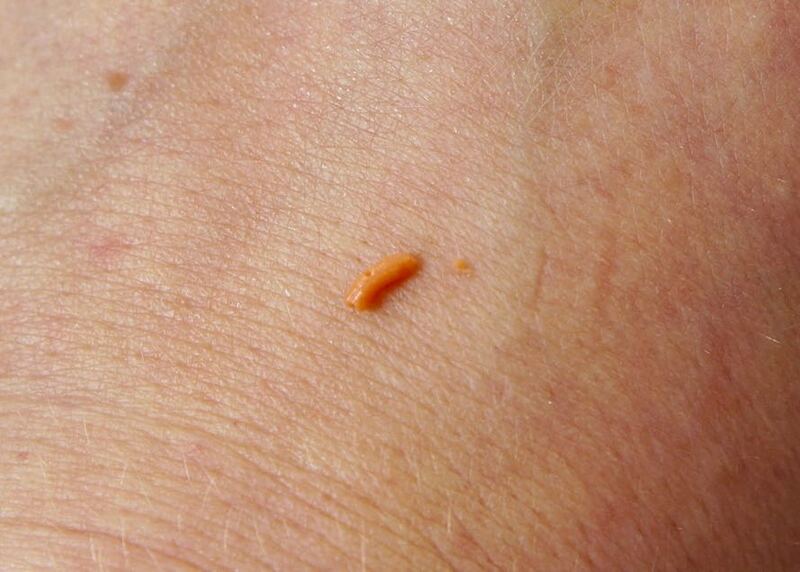 It applied on my eye lid ok, it did drag a slight amount, but it didn't last at all, maybe a few hours? It wasn't the most pigmented either. In the waterline I had to run it over quite a few times, again it wasn't the most pigmented, and it barely lasted there an hour. It could have been the shade I got, Charcoal, the I was having an issue with maybe the brown was better? Ofra Long Lasting Liquid Lipstick - I have another OFRA liquid lipstick and like it as well. I find that the OFRA Long Lasting Liquid Lipsticks do last quite a long time on my lips and aren't to drying. I like the shade Verona, but do think I will like it a lot more in the Fall. So last months "Caribbean Queen' wasn't a full on winner for me, but I did get to try out a great assortment of products that I might not have otherwise. I love the brushes and can see myself continuing to use them. The eyeshadow palette isn't a stand alone palette for me, no matte brow bone shade, but it was fun to try and now I have more shimmery blues if I ever get up the nerve to try them out! I know not to pick up any Jonteblu liners! Also that I don't need to pick up a full size of a very expensive body cream to try out because it just isn't for me. Also that I may just not be a lash girl, but thats ok, if you are enter to win the Battington ones below! If the Battington Monroe Silk Lashes from the June 'Caribbean Queen' Boxy Charm interest you, I am giving away the set I received. Since this giveaway is not sponsered by anyone but me, I am opening it up internationally. Must have reached the age of majority in your region. Winner will be chosen randomly by the Gleam App. Once the winner has been chosen, you will have 48 hours to respond to my email with your mailing address. If you fail to do so, I will pick another winner. Please enter using the Gleam App below.